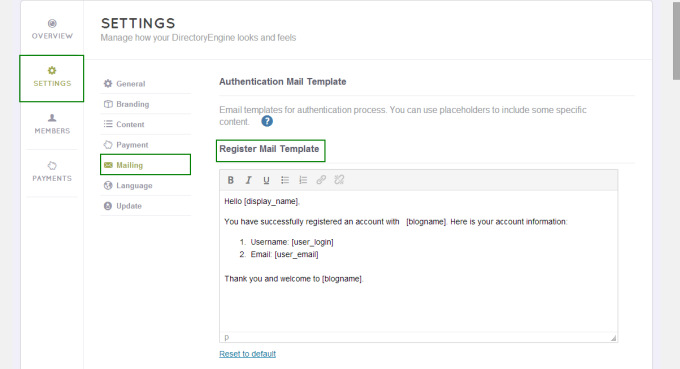 Register mail template: if you disable the option “ Email confirmation“users will receive this email after they complete their registration, this email won’t include the password. Confirm mail template: this email will include a link for users to complete their registration. 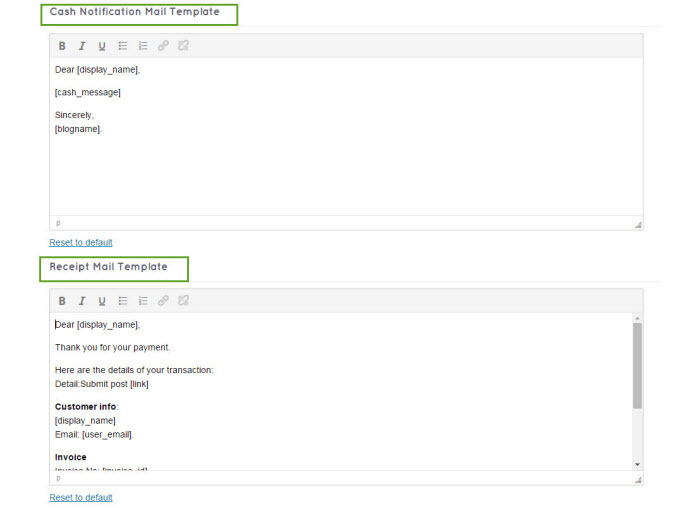 Confirmed mail template: this email will be sent to the users after they successfully confirm their emails. Forgotpass mail template: users will receive this email after they request for a new password in the Forgot Password form. Resetpass mail template: this email will be sent after a user activates the active link to get the new password on his Forgotpass mail. Inbox mail template: this email will be sent to the users whenever they receive a private message. Publish mail template: this email will be sent after a user successfully publish a place. Archive mail template: this email will be sent to the users whenever their places are archived. Reject mail template: this email will be sent to the users whenever their places are rejected. 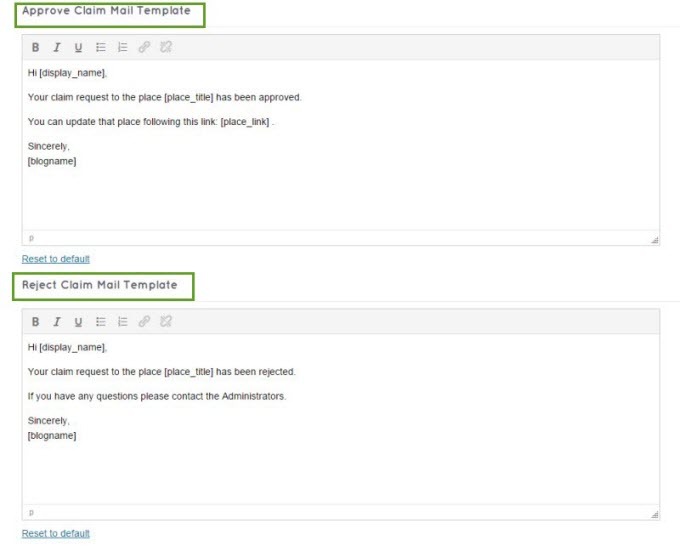 Approve Claim Mail: this email will be sent to the user to inform that their claim request has been approved. Reject Claim Mail: this email will also be sent to the user to inform that their claim request has been rejected. Cash Notification: this email will be sent to the author to remind them about their payment by cash. For the cash message, you can write or edit the message by going to Engine Setting > Settings > Payment. At Cash section, you can add/edit the cash message. Receipt Email Template: this email will be sent to the author whenever they finish their payment through Paypal or 2Checkout gateway.